Demanding, power hungry 3D applications can easily move to mobile devices and plain PCs today, thanks to web cloud. The proof is also in the newest multimedia application by Autodesk - Project Pinocchio. 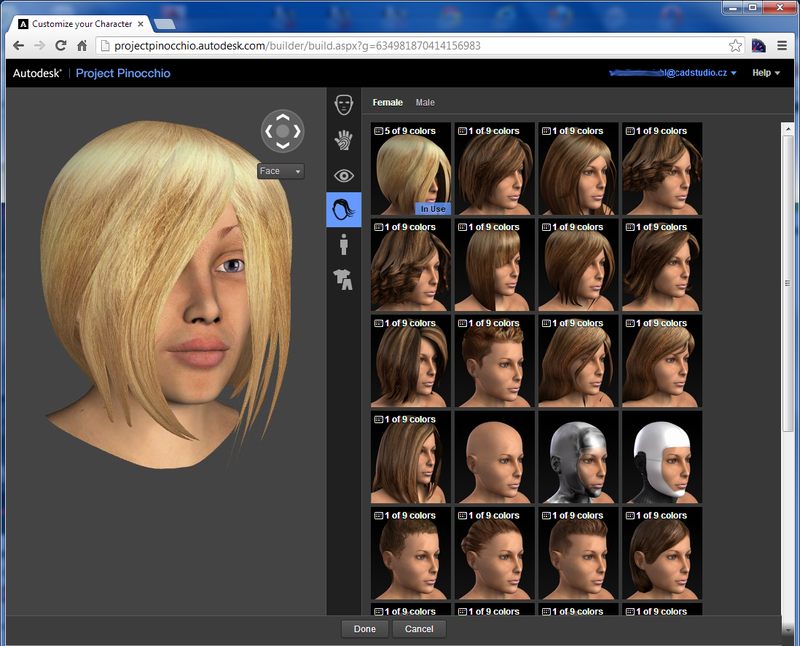 On the web site projectpinocchio.autodesk.com you can use your internet browser for detailed configuration and generation of fully rigged 3D characters of women, men and fantasy creatures. These can be then used in 3D computer games, visualizations and CAD scenes. Characters can be created by crossbreeding from pre-defined body types, you can combine and adjust their body and facial proportions, hair-cut, skin and eye color, clothing, shoes, etc. After you set and fine-tune all parameters you can publish the resulting model under a new name and download it including its textures in a given precision to a file in the .MB or .FBX format. The models contain also a skeleton and neccessary constraints for inverse kinematics (IK), so you can easily animate their realistic movements. You can directly read these models into the applications Autodesk Maya, 3ds Max, Motionbuilder and to other 3D software. The technology preview version of the Project Pinocchio expires September 30th 2013. 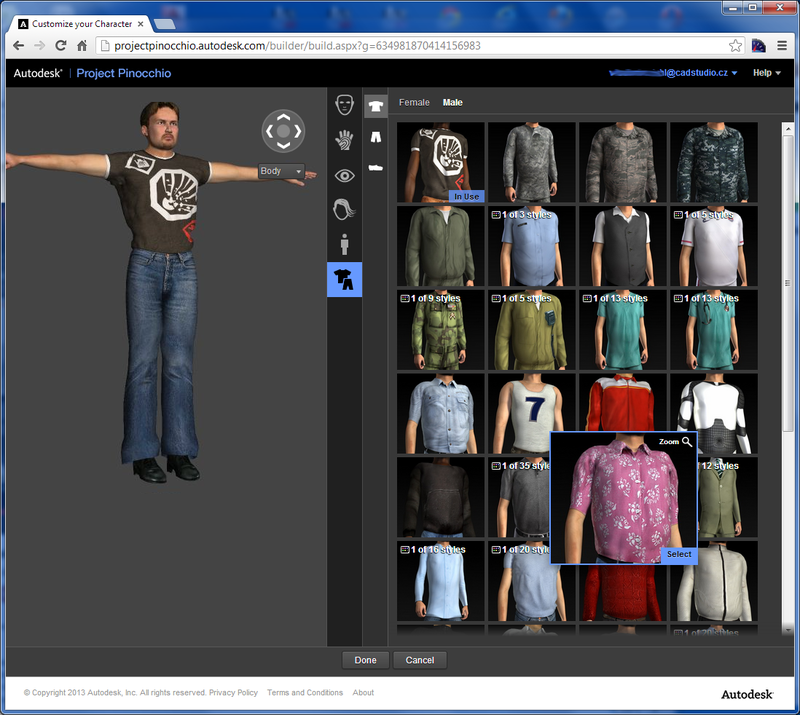 You can find more information on Autodesk Labs Project Pinocchio.